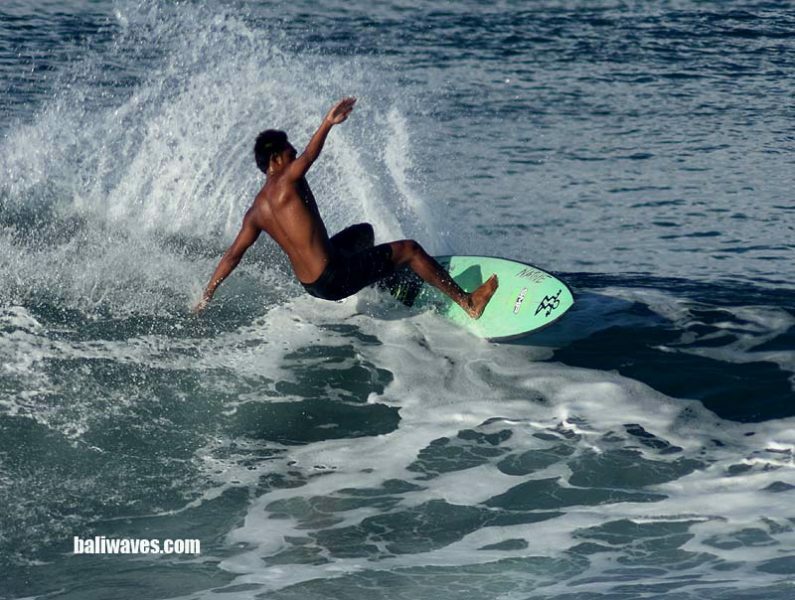 Hello everyone and thanks for dropping into the baliwaves (keeping Bali surf reports real since back in 1999) for our latest news and best possible views on surfing and weather conditions here on the island of the Gods, and the No.1 tropical surfing holiday destination and gateway to Indonesia’s surfing paradise, Bali. 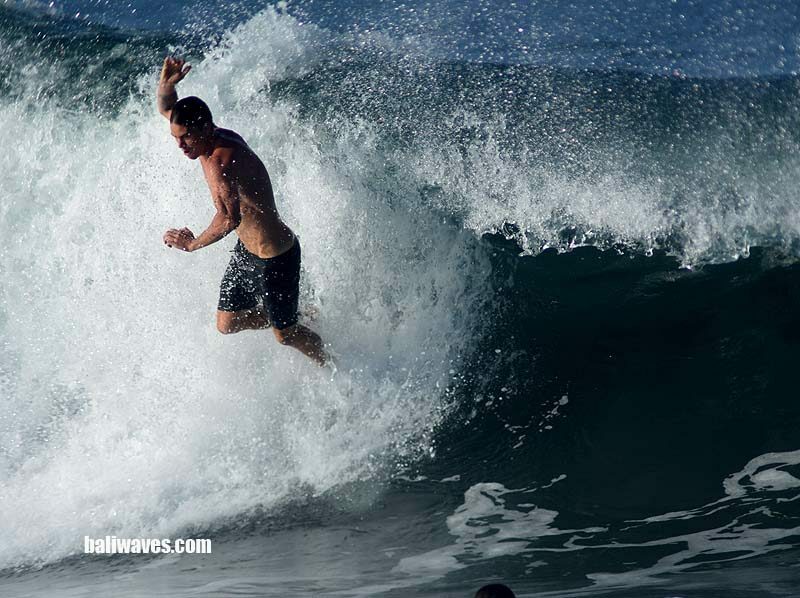 Hey hows these photos that we shot at the Gu yesterday, some pretty sick tubes and tube riding went down while we were on the scene. Just remember if you want to hang out in this area be prepared for big crowds, lots of learners and traffic. But the rewards can be worth it if you have the skills and the right attitude. 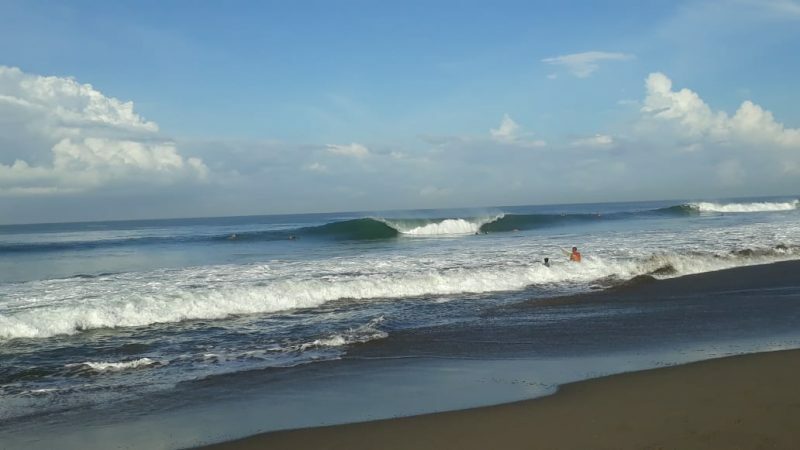 This mornings 7.00AM surf check on the Outer Reefs of Tuban was still showing wave height to be breaking in the 1-2ft range with the odd head high set wave hitting Middle Reef. 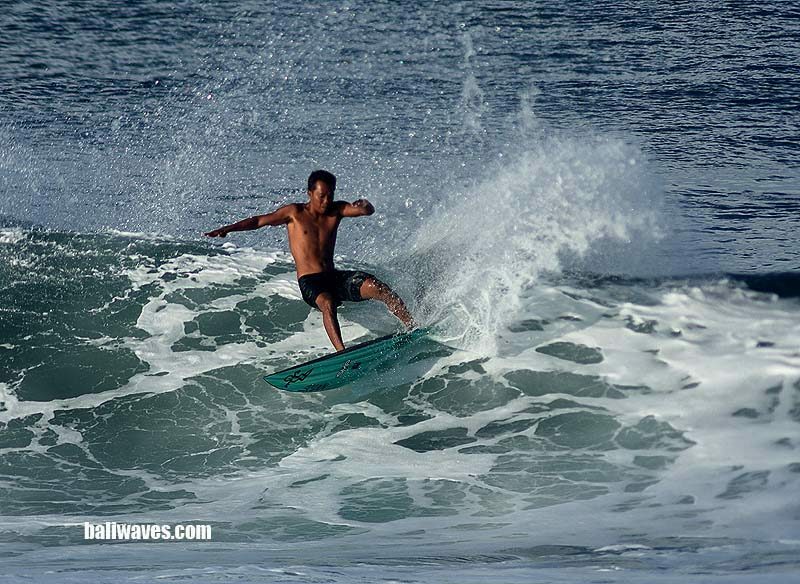 Surfing conditions were clean and glassy with the wind coming lightly out of the ENE-E at 1-2knot. 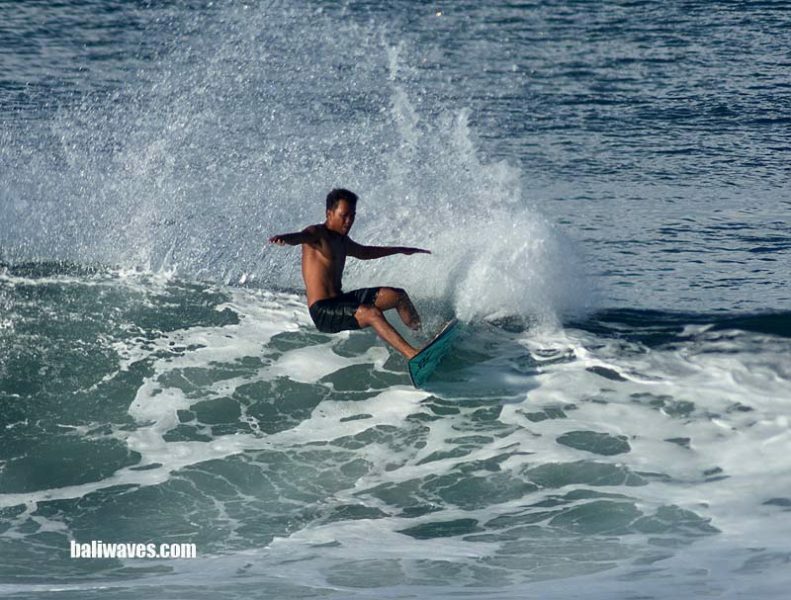 Our man on the East Coast has phoned through his report calling some nice clean lines in the 2-4ft+ range at Keramas. 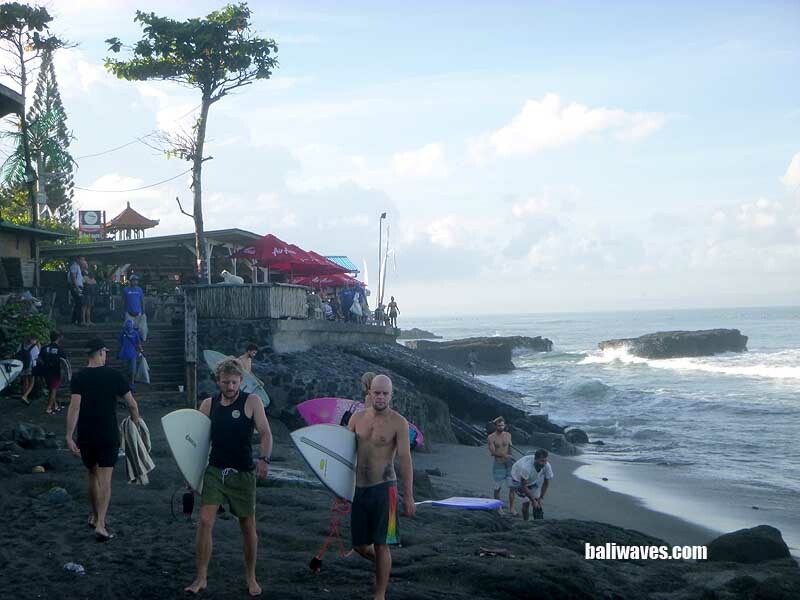 But line up space was filling up fast with already over 25 surfers on it by 7.30AM. 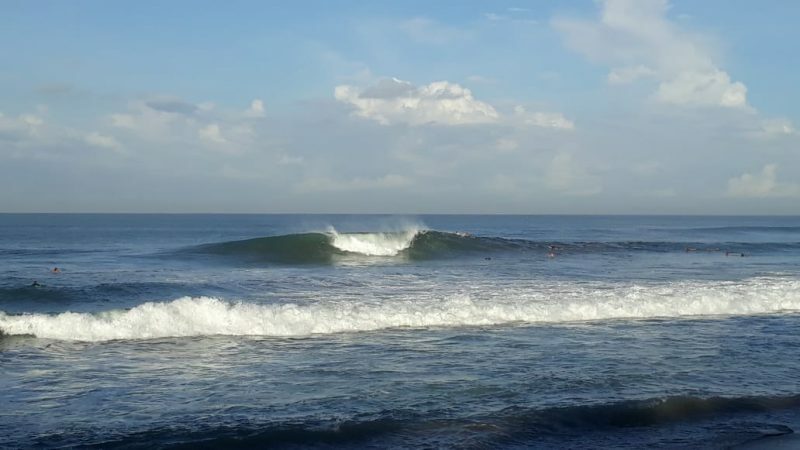 With that call I’d expect down on the Southern end of the Island at Nusa Dua, Green Bowls etc area you’d probably find some bigger waves. But expect the wind to dedicate more to the ESE-SE through out the morning. Weather wise outside right now at 7.55AM we have a mostly overcast sky, but we should see some blue sky and sun shine by midday. It’s also nice to have a little taste of this SE wind the last few days, it’s definitely not our Tradewind arriving just yet, I do think we will see more Western quadrant wind before the Tradewind does kick in. The next tide today will be a 2.3mtr High at 9.54AM and a New Moon rising tonight so expect some big tidal ranges over the next few days. 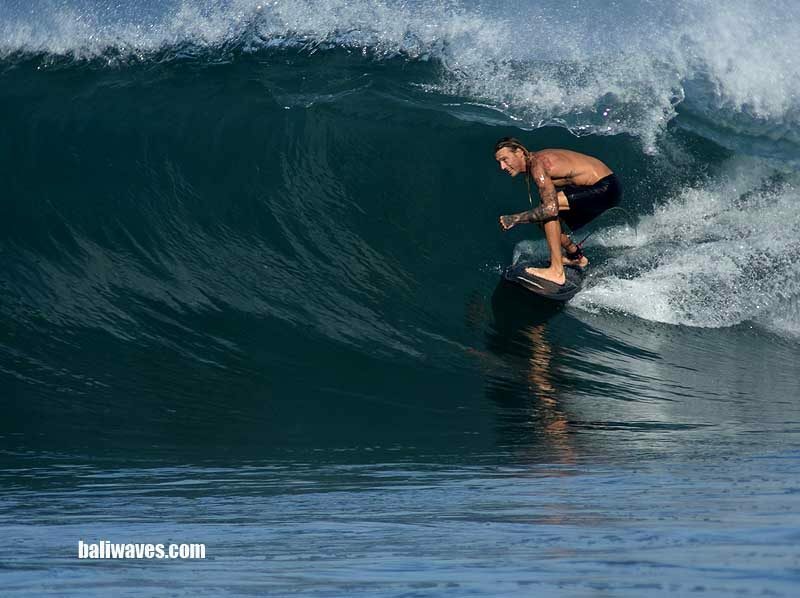 SURF WRITERS / REPORTERS dept, if you’ve got something to contribute that other surfers might like to have a read of, maybe a funny yarn or some helpful experience to share. 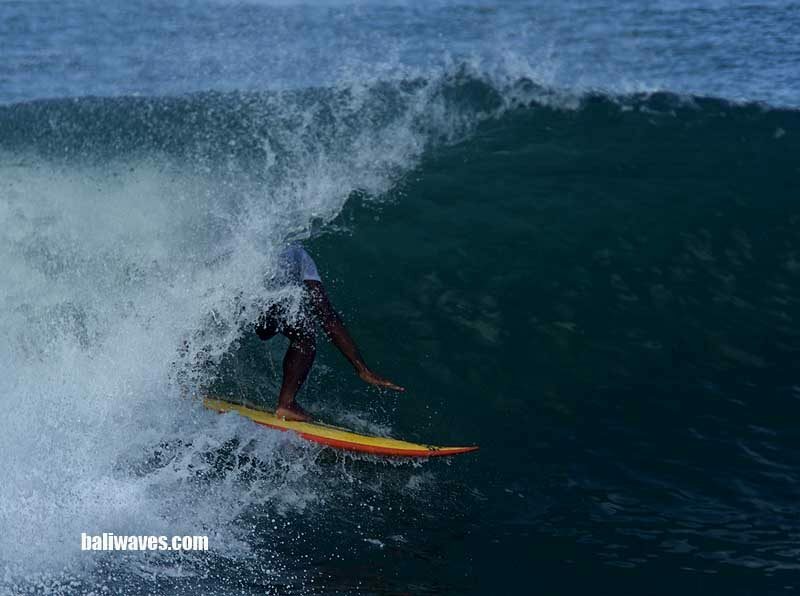 Please send it through and we’ll publish it here on the baliwaves, drop me a line and have a chat if you want. Hi Bob and Cathy !!! 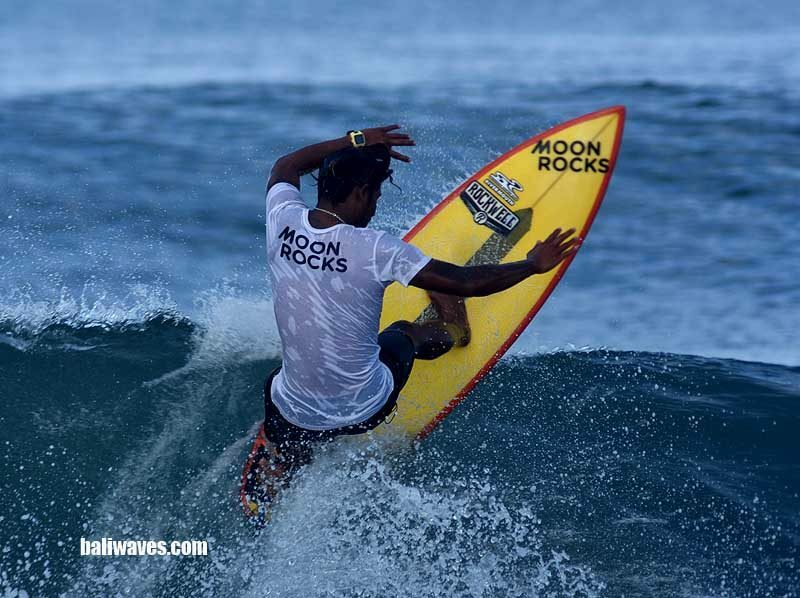 yes mate I would have loved to have been out there surfing with you the other day it looked so good, I was still a bit crook from fever but back on my game again now and back in the water tomorrow, are you guys still up there ?